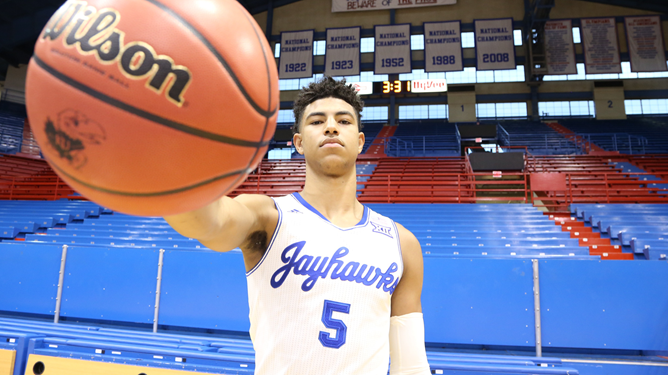 By now you all probably know that KU freshman Quentin Grimes made the U18 Men’s National Team and will represent USA Basketball next week at the FIBA Americas in Canada. 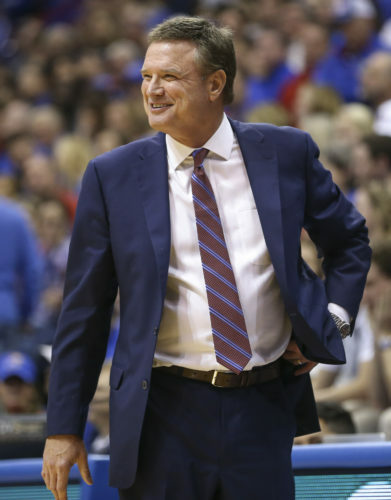 In doing so, Grimes will get a chance to play for his future college coach, KU coach Bill Self, who is coaching that U18 team and helped select the 12 players who will represented the United States in its quest for a fifth consecutive gold medal at the event. It’s worth pointing out here that, while Grimes probably had the best shot of anyone to make the team going into the 33-man tryout, Self was not the only person with a say in who made and didn’t make the team. 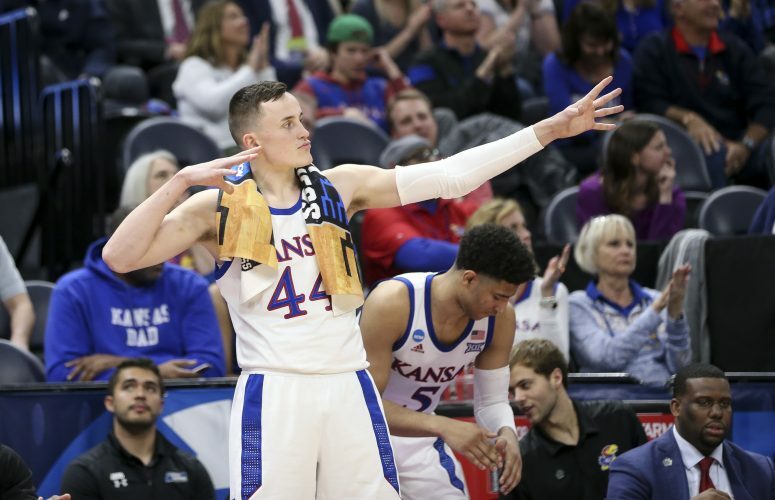 USA Basketball has a selection committee that helps make the cuts so Grimes, as expected, made it on his own merits as much as his status as a future Jayhawk. Grimes’ role with Team USA should be fun to watch as it could resemble exactly what he’ll be asked to do during his time at Kansas. With dynamic point guards Cole Anthony and Tyrese Maxey on the roster, Grimes will not have to handle the ball as much as he did in high school and can play off the ball, looking to slash and attack and shoot from distance throughout the games. 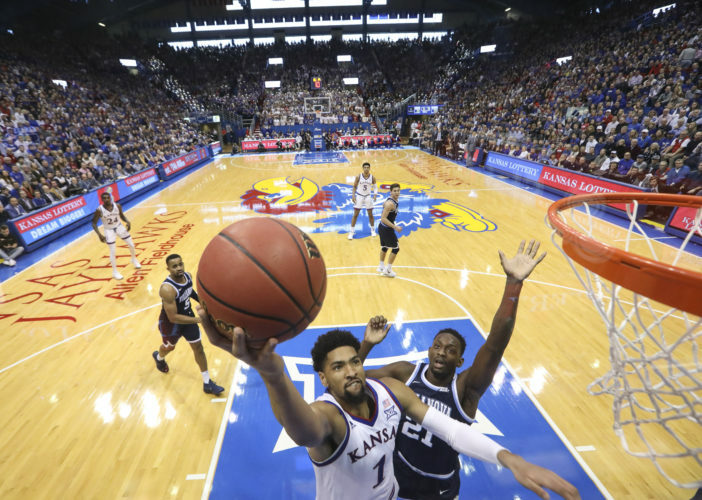 A similar role could be awaiting Grimes at Kansas, where Charlie Moore and Devon Dotson are entrenched as true point guards who figure to run the show while keeping Grimes off the ball. That’s all speculation — with both teams — at this point, but it seems like a likely path and should give Grimes an opportunity to absolutely maximize his head start with Self while wearing a USA jersey. As for the rest of the Team USA roster, here’s a quick look at the other 11 players and where they stand with regard to their recruitment. Self told me before he went to Colorado Springs — the team’s in Canada prepping for the tournament now — that the opportunity to be around these young guys, most of whom are among the top talents in their high school classes, has been dubbed in the past as a recruiting advantage for the assistant coaches on the team but not necessarily the head coach. The reason? The head coach tells them when to sub in and sub out and has to be the guy that gets on them. That said, there’s no doubt that Self’s extended time around these guys will give him a great opportunity to give them a glimpse into what playing for him at Kansas might be like. • Cole Anthony, Briarwood, N.Y., 6-2, 180, 5-star PG Class of 2019 (No. 4 overall per Rivals) – The son of former NBA and UNLV point guard and current college basketball analyst Greg Anthony, this electric point guard who blends incredible skill and speed with a high basketball IQ has been pretty tight-lipped about his recruitment thus far and seems wide open at the moment. One thing that’s certain about his recruitment is this: Whoever lands him will be getting a guy that many believe is the top point guard in the class and an instant high-impact player. • Armando Bacot, Richmond, Va., 6-10, 235, 5-star PF Class of 2019 (No. 17 overall per Rivals) – Dubbed recently by Corey Evans, of Rivals.com, as the likeliest North Carolina commitment of all the top big men in the 2019 class, Bacot is also being pursued hard by Duke, Oklahoma State, Virginia Tech and Georgia, with many believing the Tar Heels are the current leader. • Matthew Hurt, Rochester, Minn., 6-9, 200, 5-star PF Class of 2019 (No. 5 overall per Rivals) – Most recruiting analysts believe that Kansas is the team to beat for Hurt, whom the Jayhawks have been recruiting hard for a few years. He has no shortage of options, however, from in-state Minnesota, where his brother plays, to North Carolina, UCLA, Indiana, Kentucky, Duke and more. Getting some bonus time with Self can only help the Jayhawks’ chances of landing one of their top targets in the 2019 class but there still is work to be done to reel him in. • Trayce Jackson-Davis, Greenwood, Ind., 6-9, 210, 5-star PF Class of 2019 (No. 22 overall per Rivals) – Jackson-Davis said last week that his recruitment was still “wide open” while adding that he would like to trim his list to a final five or seven sometime in August. Of those schools pursuing him, Indiana, Michigan State, UCLA, Iowa, Purdue, Ohio State, Georgia and Memphis have made the hardest push. • Josiah James, Charleston, S.C., 6-6, 190, 5-star PG Class of 2019 (No. 15 overall per Rivals) – Among the dozens of programs going after James, Clemson, South Carolina, Duke, Michigan State, Florida, Florida State, Virginia, Virginia Tech and Ohio State currently sit in the best positions, according to a recent James interview from the USA Basketball tryout in Colorado Springs. • Tyrese Maxey, Dallas, 6-4, 185, 5-star SG Class of 2019 (No. 14 overall per Rivals) – Maxey committed to John Calipari’s Kentucky Wildcats on May 9. • Jeremiah Robinson-Earl, Bishop Miege, 6-9, 235, 5-star PF Class of 2019 (No. 16 overall per Rivals) – Bishop Miege standout who lives just down the road from Lawrence, Robinson-Earl has attracted interest from all of the major programs but appears to be headed toward a final two of Kansas and North Carolina. Nothing is even close to official on that front yet, but KU has been in a good position for a long time and UNC is the one other program that keeps coming up as a place JRE could see himself playing. This one could very well come down to whether or not he wants to stay close to home or get away for his year or two of college basketball. Arizona, UCLA and Virginia remain alive and Robinson-Earl recently said he was still open to any newcomers. • Mark Watts Jr., Detroit, 6-3, 180, 4-star SG Class of 2019 (No. 67 overall per Rivals) – Nicknamed “Rocket” for his fast and furious style of play, Watts is one of the fastest-rising prospects on the board in the Class of 2019 and UConn, Ole Miss, Marquette, Michigan State, Michigan and Mississippi State appear to be the programs making the strongest push for Watts’ services. Michigan, Michigan State and Marquette seem to have put in the most time recruiting Watts, but he recently told Rivals that he also wants to get out west to visit USC and UNLV. Like Grimes, there are three other players on the U18 roster who will be freshmen during the 2018-19 college basketball season.